William Jaramillo, our Director of Partner Development, was honored at the recent TUG Connects Conference as an “Agent of Change” – the conference’s overall theme. While such an honor is most definitely appreciated, the truth is our ability to change anything is only possible because we work with some of the best CRM Integration partners in the industry – companies like Brainsell, based in Topsfield, MA, and TechAdvisors based out of Chicago, IL; both nationwide providers. What does that mean to William? He starts by working tirelessly to identify partners that have the right subject matter expertise to help the same kinds of clients we can also best serve. Then he engages through a mutually diligent process where both parties can go through a proper vetting process – mutually understanding one another’s strengths, capabilities, credibility, and company culture. He wants to ensure both parties share the same values for helping businesses make the most of the tools they are using. Nurturing their mutual interests comes next. This occurs through collaboration in all things, including cross-company education, lunch and learns, public-facing webinars, participation at trade shows, key-note addresses, and mutual support across the sales, marketing, and customer service teams. But the job is never done in William’s mind. Once the relationship is established, teams are trained and in-the-know, he then helps us (here at ActivePBX) continue to evolve what we can offer. This all comes from ceaseless attention to what else would benefit one another and our clients. He is constantly driving change in our programs, our product offering, and in our support of our partners. 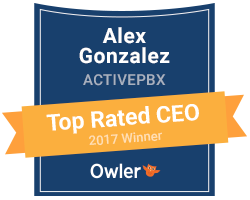 The message in that blurb was certainly simplified, but it points to a key philosophy at ActivePBX: the idea that we’re always looking for partners and technologies that can improve communications and connectivity for the clients we serve.